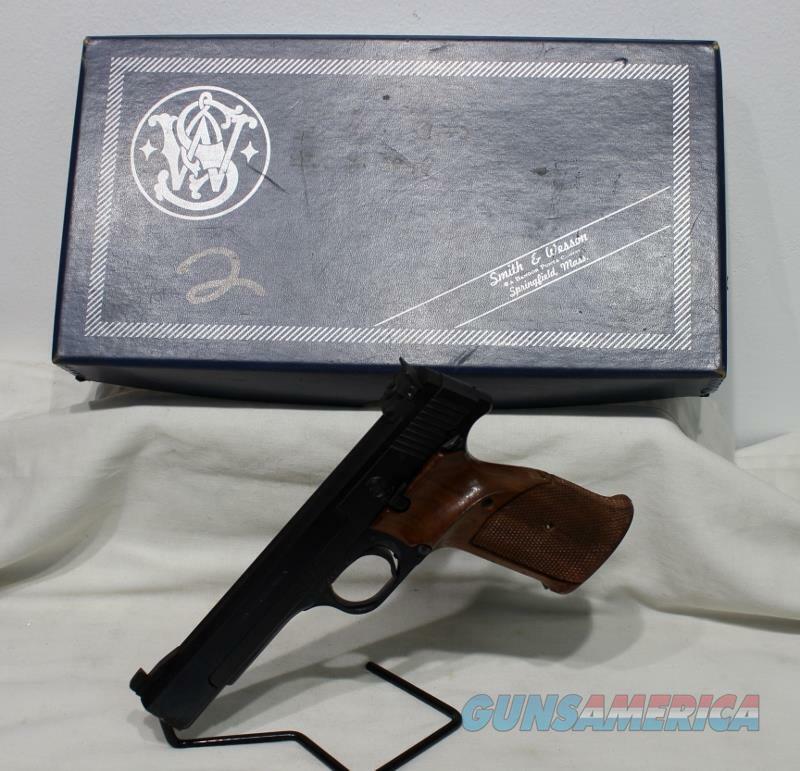 Description: S&W model 41, 22LR, 5.5" bbl, this gun was used by a college for competition shooting, it has an extra number engraved into the side of the slide, target grip, fully adj rear sight, wide trigger, sw mag, the bore is excellent, there are some issues on the end of the slide, there is some pitted rust on the left at the end of the barrel, see pictures, there are some light scratches on the sides of the slide, comes with box, and manual, used, serial #A139XXX, This item must be transferred to an FFL. We are a FFL, Florida residents add sales tax for your county, there is no local pick up and we do not have a retail store for you to come see the item. The price listed is a cash price; credit cards add 3% to the total. You can use the online checkout or call the shop with your information. We do not give out the reserve so please don’t ask, your email will be deleted with no answer. By committing to buy this item or gun you are saying that you are aware of all of the laws and restrictions in your state and you can lawfully own this item or gun. If you are in CA please add $15 for paperwork. This item must be transferred to a FFL. Money must be here within 5 days. Transaction must be completed within 10 days or the item will be reposted. DO NOT COMMIT TO BUYING THE ITEM UNTIL YOU HAVE ASKED ALL QUESTIONS. Please ask all questions prior to purchase, no questions are answered on Saturday and Sunday. If you do not complete the transaction appropriate nonpaying buyer feedback will be left. Items are sold as is, no returns, unless we have grossly misrepresented the item.